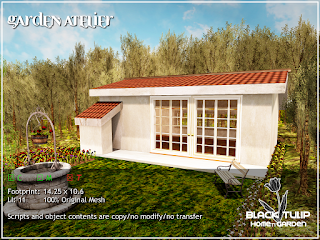 Unfurnished garden atelier with scripted doors. 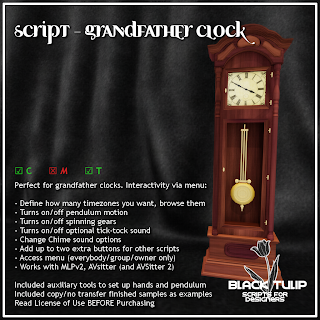 This item is a scripted wall clock, provided in two different sizes. 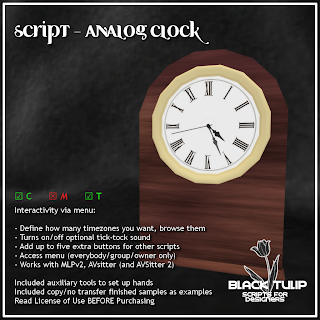 Click for menu, then decide if turning on/off the tick/tock sound (it's turned off by default), navigate through timezones and change to Daylight Saving when needed. IMPORTANT: If you attempt to resize the object, the clock hands will not be positioned correctly. That's why two different sizes have been provided. 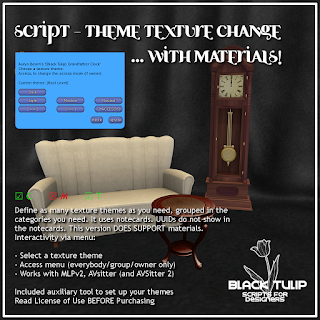 Multi-level menu theme texture change, for furniture. It can be integrated with AVsitter (and other scripts that support linked messages, like MLP). Very easy to use theme creator auxiliary tool, included. IMPORTANT: This version DOES support materials. 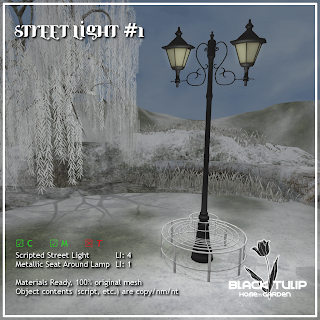 All parameters under normal, specular and alpha ARE supported. 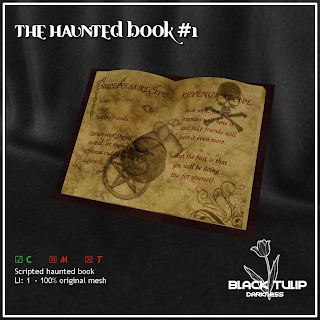 There's a non-materials version, under related items. The clock Hours, minutes and seconds hands. Seconds hand is optional, and it can be placed in a separate place than hours and minutes. There's a tool to help setting up the hands, so they rotate as you want them. You can define all the timezones you need, and there's an option to turn on/off daylight saving. Tick-tock sound. It can be turned on/off. Up to five extra buttons that you can setup to call other scripts. 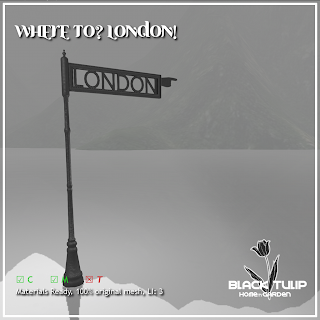 Avalaible at SL Marketplace: Where To? London! Mesh post, pointing to London. Materials ready, LI: 3 at the given size. 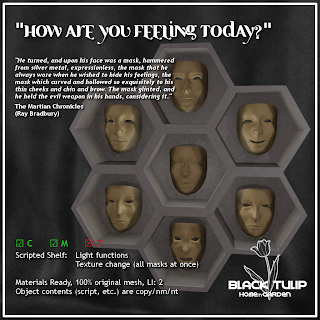 Avalaible at SL Marketplace: How are you feeling today? 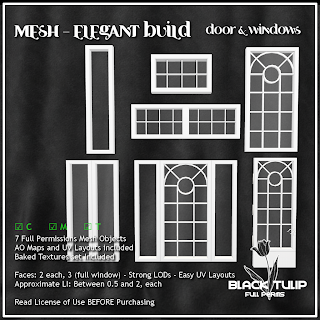 Scripted mesh shelf with masks. 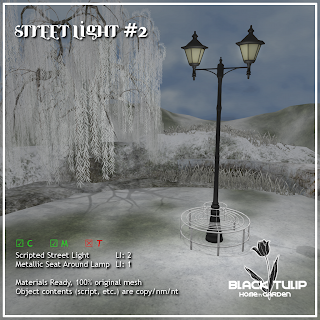 Script allows to turn light on/off and control it via menu, and also offers three texture change options for the masks: gold, silver, copper. Masks will change all at once: they will be all gold at the same time, or silver, or copper. 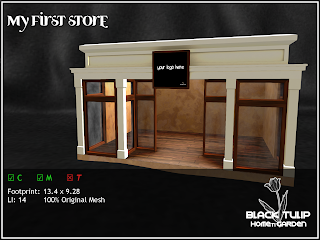 This item is modify: if you scale it up, the LI may raise. Make sure you have enough LI allowance! Couple pose and corresponding mirrored one. This little school has a scripted door, and scripted lights. 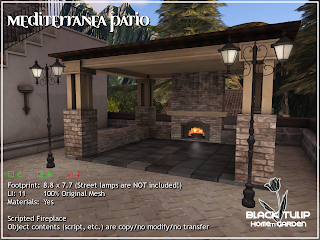 Read the documentation for directions on its use, as well as things to be careful about if you plan on modifying it. 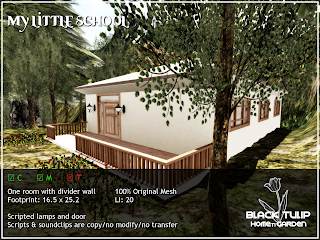 If you are going to modify the school, remember to keep always an ORIGINAL in your inventory!